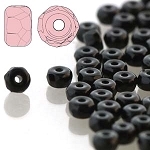 Czech Glass 2x3mm Micro Spacer Beads are now available! 2x3mm Czech Glass Faceted Micro Spacer Beads are some of the newest Czech Glass Beads available. 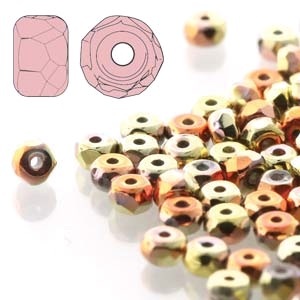 These tiny micro rondelle beads look beautiful and will work great in your next jewelry design. 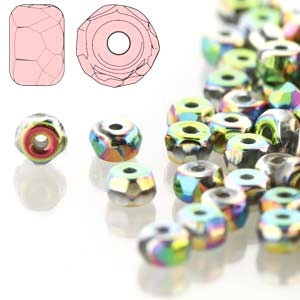 2x3mm Czech Glass Faceted Micro Spacer Beads are made in the Czech Republic out of beautiful Czech Glass. 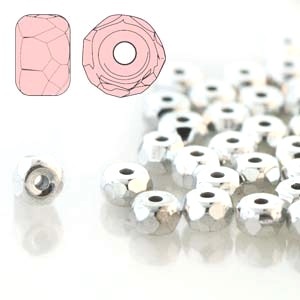 They are approximately 2x3mm in size. 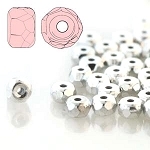 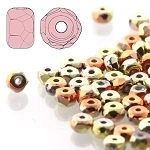 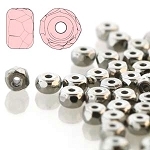 Each package of 2x3mm Faceted Micro Spacer Beads has approximately 85 beads. 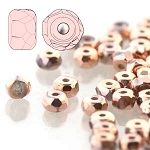 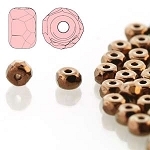 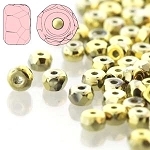 They tiny spacer beads will work great with many of the popular seed bead jewelry patterns.